Licensed Camo Can Coolies offer the hunter in all off us a realistic 3-D leaf-like experience. This coolie is fully collapsible, allowing you to conveniently carry it with you anywhere you go. Licensed Camo Bottle Koozies are a great Koozie product for those that love nature. This coolie is collapsible, allowing you to conveniently carry it with you anywhere you go. Custom Solo Cup Coolies are perfect for cookouts, picnics, and parties. 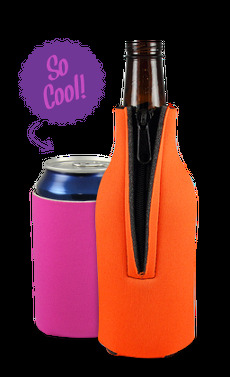 Insulates your beverage of choice, leaving you with a more refreshing drink. Make any special day last forever. These unique wedding day coolies make great gifts to everyone for remembrance of your celebration.